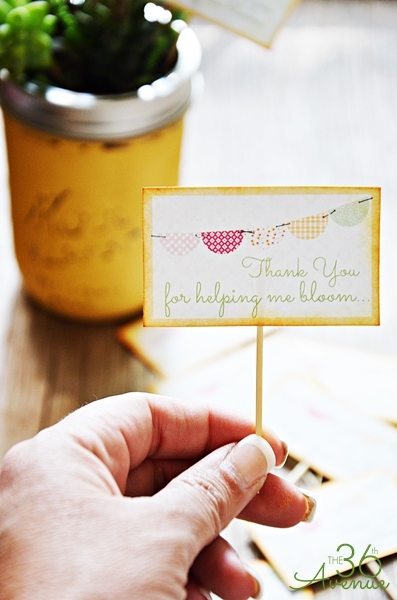 DIY projects are a fun way to inspire children to create and use their imagination. 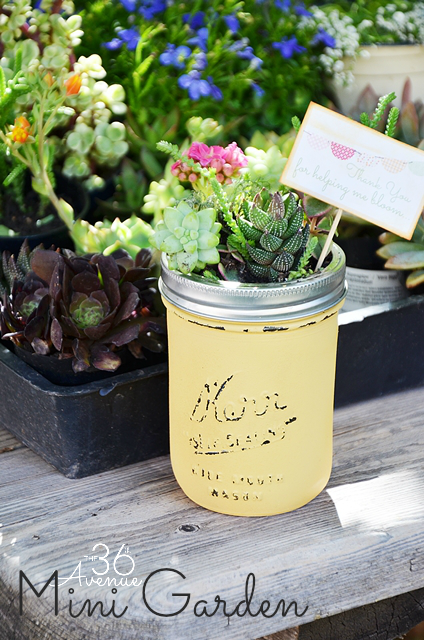 Since Spring is around the corner today I’m bringing back our adorable DIY Garden in a Jar and free printable. 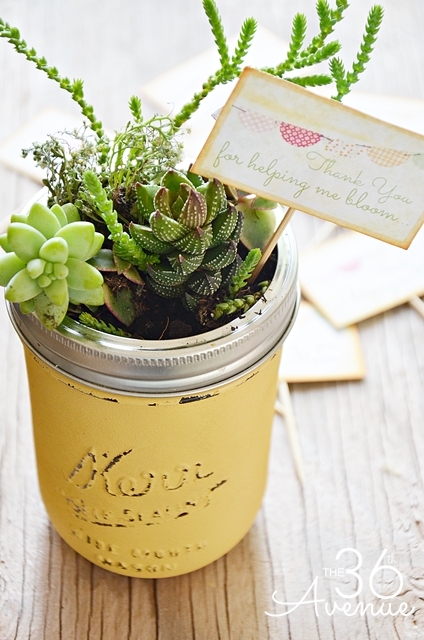 I love making these cute mini succulent planters with my kids every year! 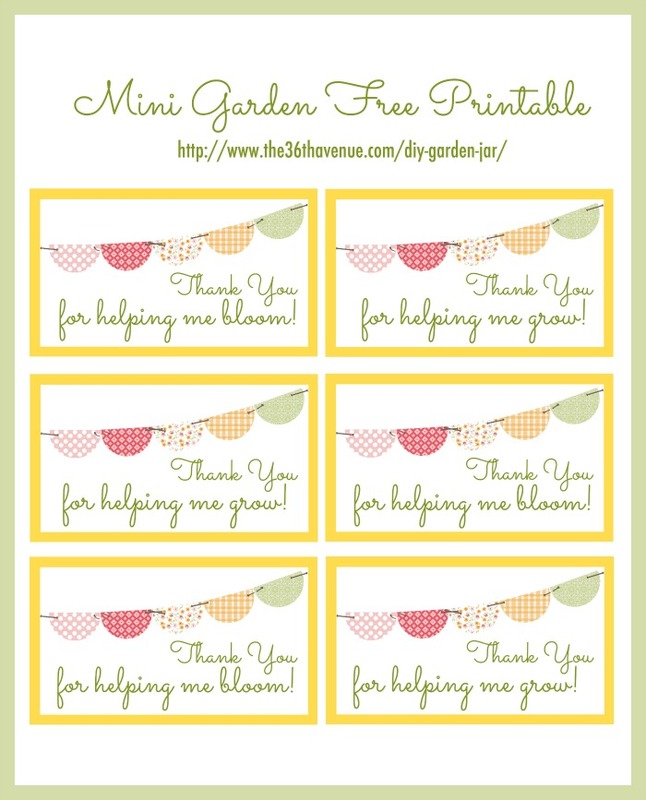 These mini gardens make the cutest handmade gifts and are perfect for Teacher’s Appreciation Week, Mother’s Day, or any time you want to surprise a friend or loved ones. They are super easy to make! You can click HERE to get the full step by step tutorial! …And when you are ready to give one of these jars away make sure to print these cute gift tags! *Please Note Before You Print: All printables and downloads designed by The 36th Avenue are for PERSONAL USE ONLY. Please do not alter the file or claim it as your own. This file is not intended for resale, nor are the printed versions of this file. For more Spring and Gardening Ideas check out these other projects! Thank you so much for stopping by… Wishing you all a beautiful day! I came across discounted succulents at the grocery, of all places, yesterday, and now today, I found this wonderful post on your rockin’ blog! Sooo…I’m headed back to the grocery to buy some plants and make one of these adorable planters. It will be a gift for someone I love who loves succulents. Pinnned, and thanks!